What is "The Faith of the Pure Ray?" Each of the seven major religions teaches one segment of the information necessary to create the life you want. In the Faith of the Pure Ray, they come together into one spiritual body. 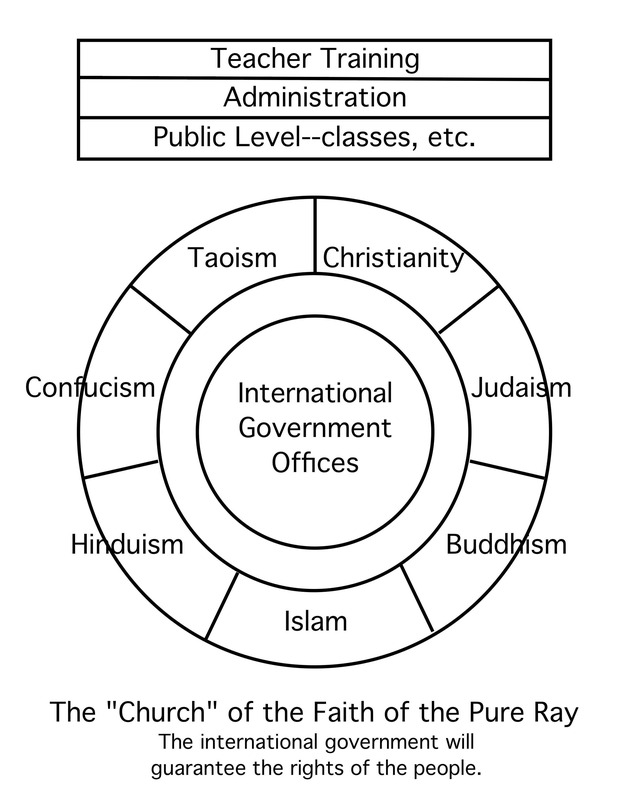 In one building, the clergy from each religion will teach the principles of his or her religion. As students learn to create the life they want, they will progress through the segments. Jesus of Nazareth taught "the plan"
Celebrate the spirit of Creativity!